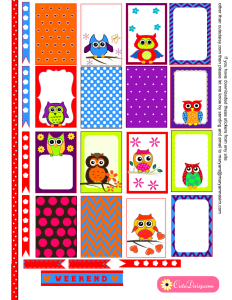 I just like owls and I have already made a set of owls stickers for planner. Today I made another set of Free Printable Colorful Owl Stickers for Planner and I made these stickers in very very bright and fun colors unlike the pastel palettes that I use.All the graphics and owls used in these stickers are original and created by me. 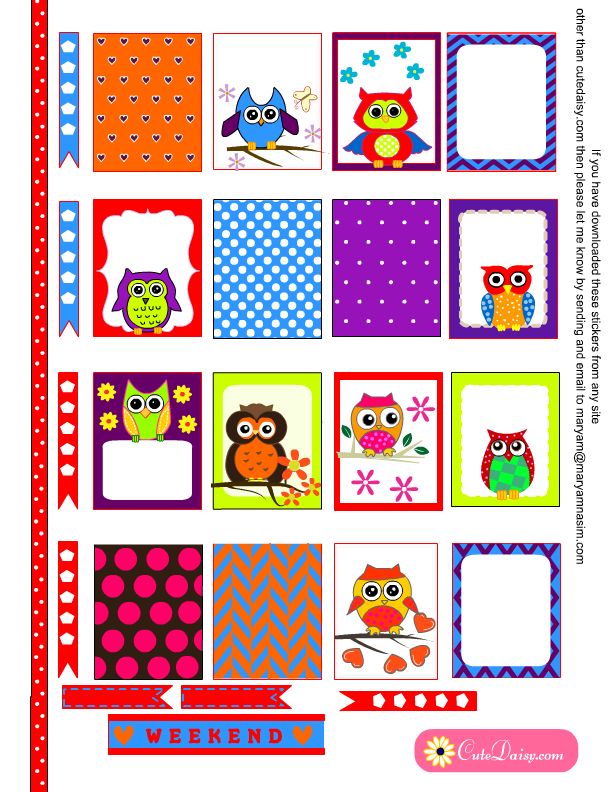 These are only free for personal use as stickers in your planners or as printed labels for your crafts projects. You are not allowed to use these to create your own graphics or redistribute or sell these in any form. If you want to share these with your friends you can always give them a link to this post.I have made these stickers in two different sizes. 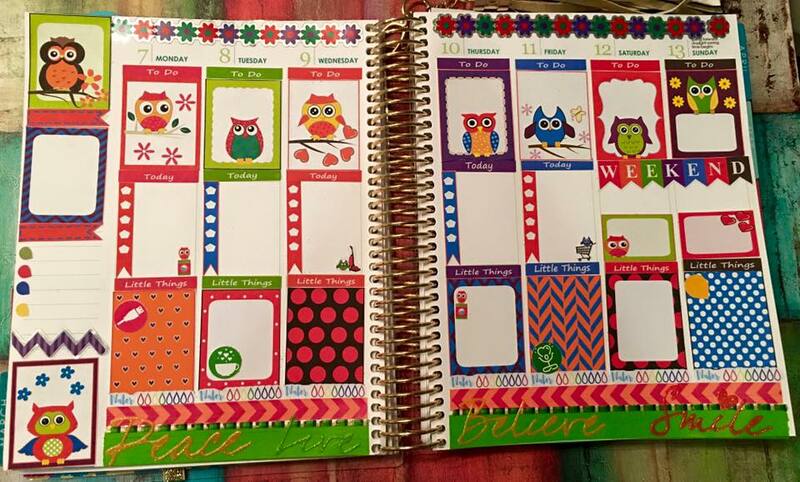 One are for happy planner and one for erin condren life Planner boxes. 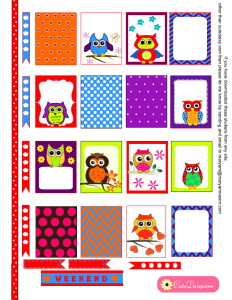 I have created these owl themed sticker kits on two pages and each kit contains 21 full box stickers, 6 half boxes, 4 half box flags, 10 header stickers, 5 checklist stickers, two washi tapes, 1 washing machine icon, garbage can shopping cart, vacuum cleaner and one weekend banner. 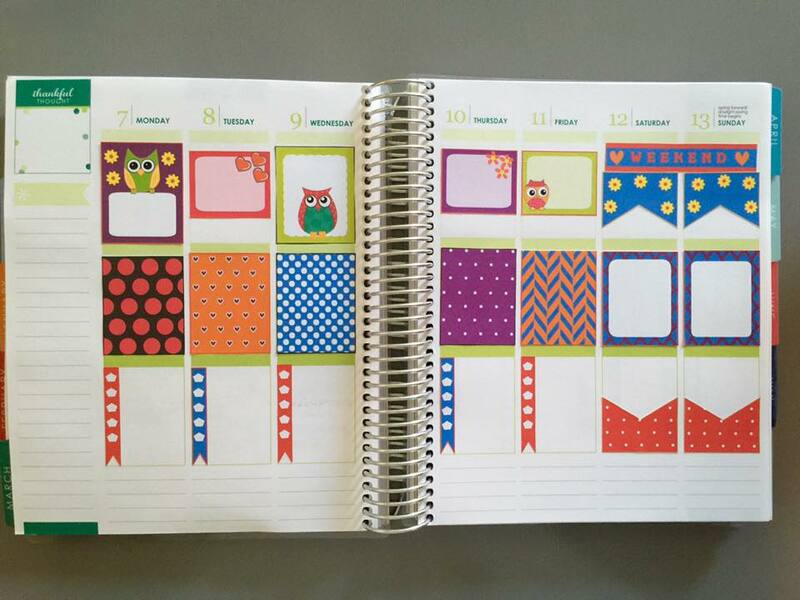 Here are these stickers for Happy Planner boxes and their size is 1.5″x2.25″. Click here to download the first page of this kit and click here to download the second page of this sticker’s set. 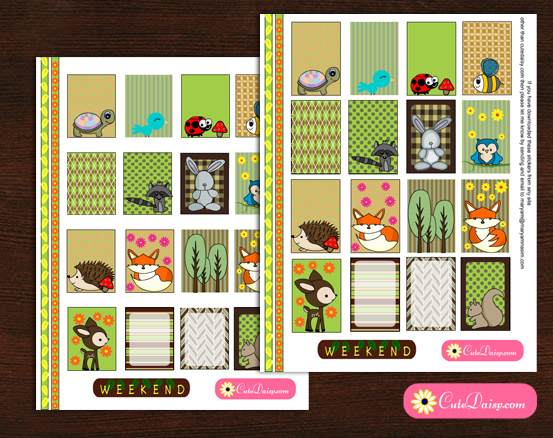 I have also created this set of Erin Condren Life Planner boxes. Click here to download the first half of this kit and click here to get the second half. 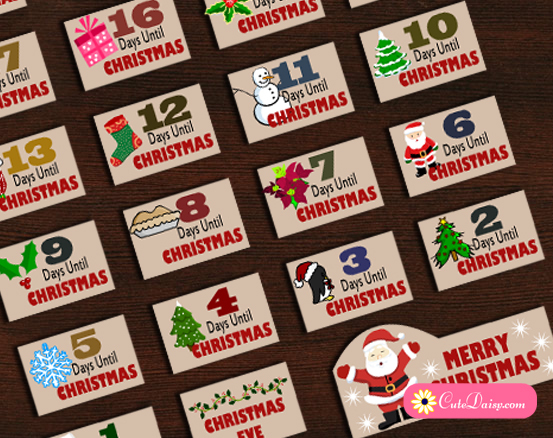 Here is a beautiful youtube video by ThriftyFifty using these stickers. Thank you. I love the colors! Those colors are amazing. And I love that you included small boxes also. You are so talented. Thank you so much for all your hard work. Thank you. These are so fun and color. You are wonderfu, keep up the great work and the great stickers coming. These are so bright and fun. I am excited to use them soon. Thank you. 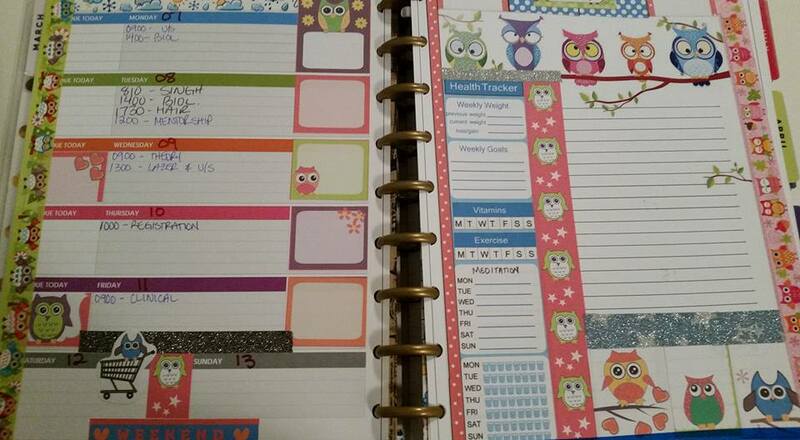 I love all of your Happy Planner Sticker Sheets. Thank you for sharing!